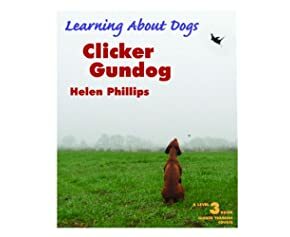 Helen Phillips is the owner of the 'Clicker Gundog' Training Centre. She is a qualified teacher and has also been a business partner with Learning About Dogs Ltd for almost ten years. During the last ten years she has also taught a Canine Training and Behaviour Course at Warwickshire College. She also manages a small shoot and runs a team of beaters on another small syndicate shoot in Worcestershire. She has also recently become an Instructor for The Gundog Club. She has also been breeding Hungarian Vizslas since 1998 and has an extensive understanding of living with and working with hunting dogs.